Data Protection and privacy-preservation are more than just regulatory compliance. In order to unlock value in the evolving European data protection and privacy landscape, the fundamental role of the individual must be re-evaluated. Organisations that share this vision are in a position to move beyond a reactive position of compliance to leverage both privacy-by-design and data ethics proactively as key differentiators. And so, today, we launch our Partner Programme. With the launch of the Partner Programme, Adaptant is pleased to announce its initial partner KnowNow Information Ltd, creator of the Consentua consent management platform. The companies are working together to leverage Consentua for facilitating compliance with the EU’s General Data Protection Regulation (Regulation (EU) 2016/679) in an automotive usage-based insurance (UBI) solution, built on Adaptant’s data management platform. This international partnership will enable two key technologies to combine to return power to the individual whilst controlling insurance costs for the majority of drivers. David Patterson, Managing Director of KnowNow Information Ltd. While the usage-based insurance model has been well established overseas and in European fleet management solutions, privacy and data protection concerns have been a long-standing barrier to widespread adoption in the European market, this partnership is a first step in addressing these concerns while also helping companies prepare for the GDPR simultaneously. 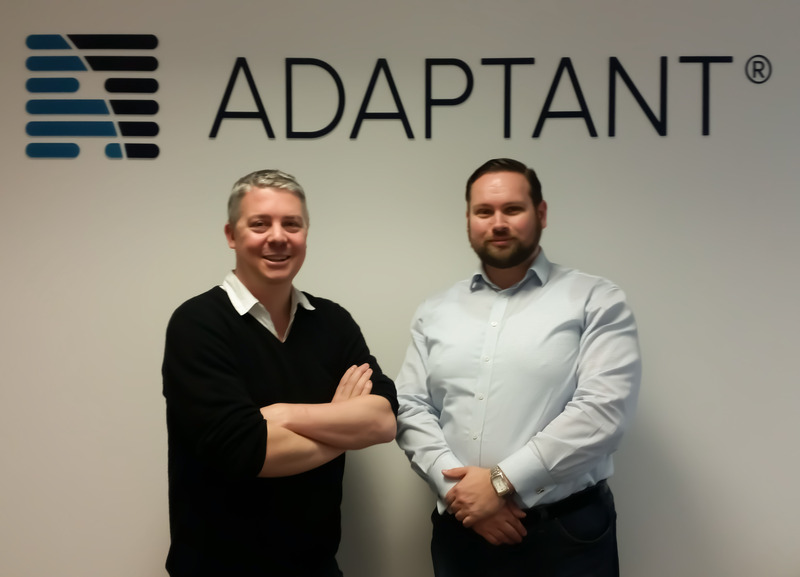 For additional information concerning this collaboration, or to learn more about Adaptant’s Partner Programme, visit https://www.adaptant.io/partner-programme/. Adaptant develops innovative solutions and technologies supporting GDPR compliance. By placing the end user at the forefront of privacy innovation, we enable new uses of data that are legally compliant, ethical, and privacy-preserving – facilitating trust and value co-creation between the end user and service provider. Adaptant’s platform targets individuals seeking greater control over their data, as well as businesses wishing to engage with personal data in a legally compliant and ethical way (funded in part by the European Union’s Horizon 2020 research and innovation programme under grant agreement no. 731678 – RestAssured). KnowNow Information develops innovative software solutions for the smartest cities and companies that operate within. Consentua (www.consentua.com) was developed by KnowNow during the Canary Wharf Cognicity Smart City Challenge. Consentua gives individuals choice and control over how their personal data is used, helps organisations to achieve and demonstrate data protection compliance, and builds trust between service providers and their customers.